As this year comes to a close, we’re wrapping it all up with an intense grand finale of cosmic influences set to prepare us for a whole new cycle of transformation in 2018. This month, as the Sun continues to move through the sign of ♐️ Sagittarius, joined with Mercury in Retrograde, we are meant to re-think our concept of what it means to be authentic and stand fully in our splendid sense of truth. Our Super Full Moon in Gemini on December 3rd (as photographed above by my dad!) brought to light the areas where we are needing to communicate our truth even more clearly as Mercury Retrograde helps us re-think what to do with this information next! What has everything this year been leading you toward? Out of all of the lessons and adventures you have been through in 2017, what is meant to carry on into 2018? And what are you finally ready to leave behind in your life & career as you turn the page into a new year? One of the biggest astrological events of the whole year – which may finally make everything startingly clear – will come later this month when Saturn moves out of Sagittarius and into Capricorn, aligning with the Sun two days later, just as Mercury Retrograde finally comes to an end. Why is this all such a big deal? Because Saturn only changes signs once every 2.5 years and this strict teacher planet shows us where we’re currently being challenged the most – and how we are meant to become more responsible and disciplined! The days leading up to this major time of change will help us all see how far we’ve come since 2015 and begin to show us what our next round of lessons will require from us. >> Last chance to order your own customized forecast for 2018! What’s your next big move, Aries? As the Sun and Mercury Retrograde move through your zone of Travel & Higher Education for most of this month, you may be wondering which great new horizons to set your sights on next. Perhaps you are dreaming of going off on an adventure that will take you across borders or are simply in the mood to stretch your mindset and add something new to your normal repertoire when it comes to the products or services you provide through your work. One thing is for sure – this is your month to explore! Just try to be cautious about making any huge decisions too quickly as Mercury can add a major element of confusion to the mix. With the Super Full Moon in Gemini lighting up your Social Networking sector, you may have manifested an exciting new collaboration with someone who can help you reach your goals even faster. Or perhaps you may have realized that the people you thought were your friends are no longer on your same level! This larger than life mega moon was meant to drudge up any and all issues within your communications with others so you can clear the playing field and start fresh for 2018. Probably the most major thing happening for you this month will be on December 19th as strict teacher Saturn moves into Capricorn. For the past 2.5 years, Saturn has been making you get clear about how you need to grow and expand to become a more well-rounded human. Now, Saturn will be making waves in your Career Zone, helping you set up powerful systems and strategies to build a firmer foundation for your higher calling. You may have to face some major challenges & difficulties to get there, but Saturn always makes it worth your while! How is your money mindset at the moment? This month, the Sun & Mercury Retrograde are zooming through your zone of Business & Finance, helping you revise the efforts you are putting in to earn your money so you can find smarter ways to boost them up. This will probably require you to go back to the books and face the music when it comes to A) how much you’re making now, B) how much you’re spending, and C) what it’s really going to take to get you where you want to go. Then you can work on streamlining the process so you can start off 2018 with a clear vision of your future path to success. After the Super Full Moon in Gemini lit up your area of love, money, and self-worth on December 3rd, this may have helped you reveal the aims & aspirations you’re truly craving deep beneath the surface as well as uncovering the fears & limiting beliefs that have been holding you back from reaching out and grabbing them. The next step? Being able to ask for what you want and need with clarity and confidence. The grand finale of this year will come for you on December 19th as Saturn moves into the next chapter of your chart. Over the last 2.5 years, you’ve already had quite a lot of work to do when it came to your business efforts and creating a greater feeling of financial security. Now, your challenge will be to expand your mindset and become more open to learning new things that can enhance your life & business even more. It may sound fun to embark on a totally new adventure, but Saturn doesn’t always make things quite so easy and you may need to let go of many fears and outdated concepts all along the way. Hey Gemini, are you able to ask for help when you need it? The Sun & Mercury Retrograde are cutting straight through your realm of relationships this month. You may have been re-thinking who you want to keep by your side and how much they truly add to (or possibly even subtract from) your life. It’s high time to balance the scales between me vs. we and get clear on what you really require to feel good about your relationships with others whether we’re talking romantically or work-wise. The best way to approach your relationships with others now is by first knowing who you are and what you need from someone else to truly make you feel complete. Then, have the courage to speak from the heart and make your demands with grace. That Super Full Moon in your sign on December 3rd certainly has not made this month very easy for you when it comes to your emotional wellbeing! On the bright side, it may have helped you get ultra clear on how you truly feel so you can make clearer decisions with your own personal goals for happiness in mind. Just be sure to think things through carefully and try to avoid making super impulsive moves that involve others until after the 22nd when your ruler Mercury turns direct. Later on in the month, Saturn will be ending its 2.5-year reign through your realm of relationships which is even more of a reason why this area of your life may feel especially intense for you now. Luckily, the final days of this major transit may finally bring the resolutions & realizations you’ve been seeking. Next up, Saturn will move into your zone of Business & Finance which will bring many challenges over the next few years to help you make decisions to earn your money smarter instead of working harder. Are you doing your best to keep everything beautifully in balance? This month’s focus for you is on rethinking your ability to maintain equilibrium between your health, work, and daily routines as the Sun & Mercury Retrograde move through Sagittarius until December 20th. If you’ve been spending too much time at work – and not enough time on your self-care or overall sense of wellness – this is the time to find new & improved ways to flow more efficiently through your day. Remember… there are much better ways to boost your energy than downing a second cup of coffee! Strive to start your day with a wonderful ritual that sets your body, mind, and spirit up for success. Meanwhile, our mega Full Moon in Gemini on December 3rd may have been rather unsettling for you as the sign that often feels the moon’s shifts and changes the deepest. Do you feel like all of your efforts are truly taking you towards a higher purpose? This has been an important time to get back in touch with the sweet song of your soul and release the parts of your life & career that are meaningless or mundane so you have more time to do what really matters most. This has actually already been quite an important factor for you for quite a while as taskmaster Saturn tested your time management skills over the past 2.5 years to make sure your priorities are practical enough. On December 19th, your next 2.5-year challenge will begin, and this time it’s all about putting your closest relationships to the test. If there are people in your world who only seem to bring you down, it may be time to re-evaluate how much attention you really want to make available for those who don’t truly appreciate all of your efforts nearly as much as they should. What are some ways you can find more joy? 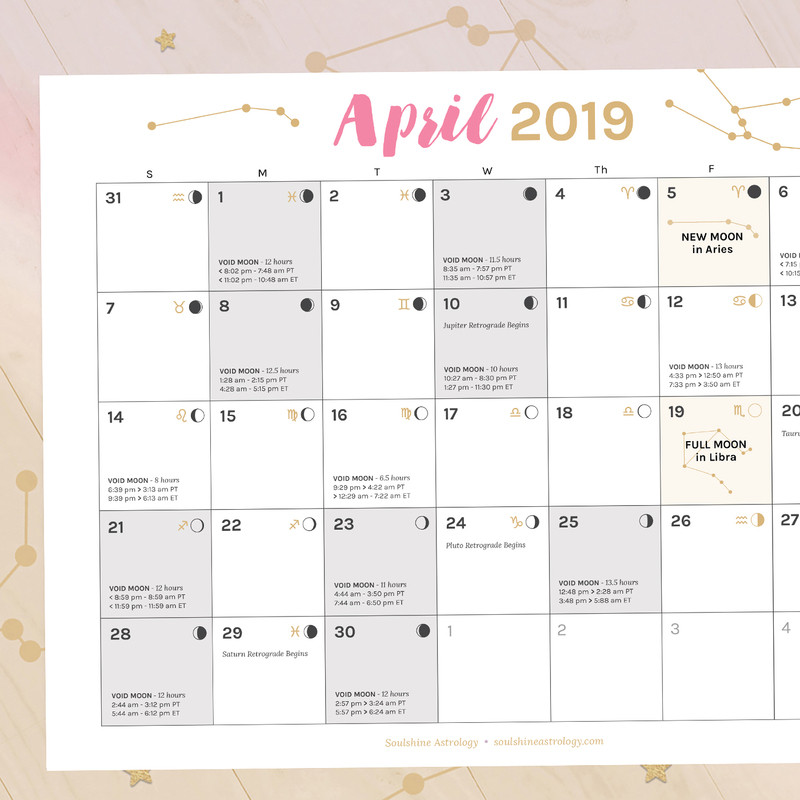 This month, the Sun & Mercury Retrograde are both illuminating your Fun & Creativity sector, helping you rethink ways to weave even more interesting concepts into your work to bring in a greater sense of intrigue. When you’re truly passionate about your work, it almost feels more like play! If there are some fun projects you’ve already had in the works, this may be a good time to go back to the drawing board and ensure your efforts are really taking you to the right places you actually want to go. Our gigantic Super Full Moon in Gemini may have also brought important realizations around the work you would like to do to help others. Finding a balance between what others in your community want from you and what actually brings you the most bliss is truly what this month is all about. The goal, however, is to remember that people pay for your passion, so don’t bend over backward for others only to lose that luminous feeling of enthusiasm that draws others to want to work with you in the first place. One of the biggest events – not just of the whole month, but the whole year – will come near the end of December as Saturn moves into your zone of Work & Daily Support. For the next 2.5 years, your mission, whether you choose to accept it or not, will be to streamline your workflow and get on track with a practical set of priorities that will allow you to keep all of the plates you’ve got spinning along more peacefully. This may mean narrowing down on the list of things that you deem most important to make more room for what is actually necessary to keep your life, career, and overall well-being in beautiful balance. Time to bring the ball home, Virgo. 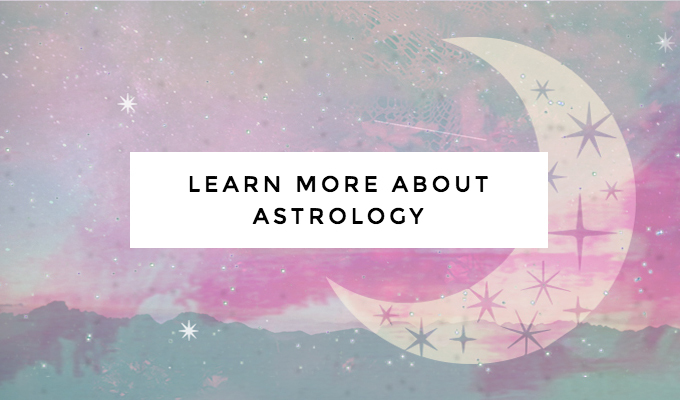 This month, both the Sun & Mercury Retrograde are vrooming through your zone of Home, Family & Long-term Security, helping you revise your long-range plans and seek out a better way to set yourself up for success. If you’re looking to make a more comfortable home for yourself, this may require getting crystal clear on the dreamy lifestyle you’re truly visualizing and then taking a second look at your budget to see what you can do to inch your way closer over time. You may, however, want to wait on making any major moves until after your ruler Mercury moves back into direct motion on the 22nd. Meanwhile, that crazy Super Full Moon in Gemini may have made quite a splash when it comes to how you look at your career. For some Virgos, this may have brought an exciting resolution to your quest for a more meaningful work situation, but if you’re still fed up with parts of your job that don’t seem to have an actual purpose, you may want to continue to consider ways you can change this. How can you refine your workflow to make a bigger, more purpose-driven impact on the rest of the world? The last and final big event of the year will come around the third week of the month as Saturn moves out of Sagittarius and into Capricorn and your zone of Fun & Creativity for the next 2.5 years. This may sound like a blast at first glance, but it’s actually more about being responsible and disciplined around setting up structures in your life & career that will allow your creativity to come out and be seen by more people. I know you have some pretty amazing ideas you’ve been holding on to… now it will be time to actually take on the rather difficult (but incredibly worthwhile) task of making them happen! It’s time to get your ideas out of your head and into the world! This month, the Sun & Mercury Retrograde are both moving through your Social Networking sector, helping you recognize hidden opportunities you may have missed in the past. Perhaps there are people around you who could help you get where you want to go even faster than you were expecting? Reaching out to the right ones to collaborate may be just the thing you need to get your message out to more people. Just be aware that Mercury Retrograde can jumble up your words & thoughts, so this may actually be a better time for testing the waters, weighing up all of the elements, and brainstorming rather than pressing the trigger right away. After the Super Moon in Gemini shone its bright rays in the direction of your zone of Travel & Higher Education on December 3rd, you may have had some sudden realizations about the areas where you still feel you are in need of learning more. But just because you don’t have all of the answers doesn’t mean you can’t still be an expert! There are always going to be people out there who know so much less about a subject than you do and these are the precise people you are the best equipped to help. Once we get towards the end of the month, Saturn will start trudging into Capricorn and your territory of Home, Family & Long-term Security. Over the next 2.5 years, Saturn will be bringing you a worthwhile mission to shore up your future investments. Ready or not, you will be required to get clearer on your future goals around bringing a greater sense of comfort and fulfillment into your personal life so you can figure out exactly what it will take to make them happen! Now that Scorpio Season is fading into the distance, you’re finally moving back out in the world as a new version of you. This month, the Sun & Mercury Retrograde are crooning their way through your area of aims & aspirations, helping you figure out what you really want and what it’s going to take for you to reach your greater goals. Obviously, Mercury is not going to make this process incredibly straightforward or easy for you, but by December 22nd when it finally moves direct, you are likely to end up so much clearer than you ever were before. That wild Super Full Moon on December 3rd may have also taken you for quite the ride as it fell in your zone of Business & Finance, illuminating any weak spots in your work plans so you can find a more logical way to fix them. Instead of getting bogged down in all of the daunting details, it’s important to start with the vision of what you actually want and then work backward in order to find a firmer way to move forward! Meanwhile, one of the most major changes of the year will be heading your way on December 19th when Saturn moves into your Social Networking sector for the next 2.5 years. This will bring an important time for you to clear out the connections that no longer belong in your inner circle and invite in the right minds to help you collaborate your way toward a sweeter feeling of success. Who is the person you are now ready to become? After an intense past month, the Sun & Mercury Retrograde are both moving through your sign in opposing directions. 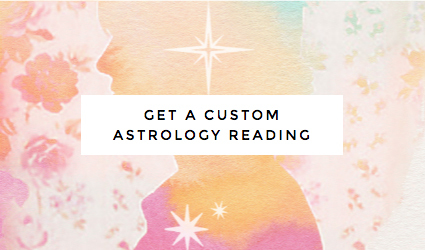 On one hand, you may be ready to break out of a rut and shift your focus toward a new way of life, but with Mercury Retrograde in the mix, the directions may still be unclear. Use this time to slow down and experiment with visualizing with many different ideas before you finally settle on the one path that feels the most true for you after Mercury moves direct on December 22nd. Meanwhile, that Super Full Moon in Gemini on December 3rd was meant to reveal issues in your relationships you’ve been needing to revisit. You have come such a long way in this area over the past 6 months, but there may still be some challenges you still need to work through before you can completely lay them to rest. As you come to realize more & more about the person you want to be, any imbalances in your dealings with others can more easily be made right. And if you’re hoping to read some good news in this month’s horoscope, then you may be quite relieved to know that our strict teacher Saturn – who has been in your sign and directly on your back – will finally be moving out of Sagittarius and into Capricorn. It has been an amazingly powerful last few years where you were basically forced to let go of any situations that were not truly meant for you and become more structured in the way you compose yourself out in the world. Now, it will be more about deciding what you really want, need, and desire and figuring out how to get it as Saturn trudges into your area of aims & aspirations next. Get ready for some major shifts this month, Capricorn! The Sun & Mercury Retrograde are both moving through your Spirituality sector, putting you in what may sometimes feel like a tight place as you sort through your hopes, dreams, and fears and find your way toward greater clarity of purpose. Although your mind may feel like its racing at times, this is technically a resting period that will be best spent brainstorming and re-upping on your self-care. You’re actually reaching the end of a groundbreaking 2.5 year period that has all about getting to the core of how you feel beneath the surface and what really matters most at the end of the day. As your ruler Saturn has moved ever so slowly through your 12th house of Mystical Pursuits, this has been an important time to unload emotional baggage that has been building up over the last few decades. Although it has not been light or easy, the deeper meaning it has brought forth will continue to be incredibly worthwhile on your journey into the next phase. Later this month, Saturn will join the Sun as they both move into your sign. Most other signs would probably quiver in fear with the idea of this strict teacher planet’s gaze set so firmly in their direction, but you might actually enjoy the opportunity to get yourself together and finally show the world what you’re really made of. Pay attention to what comes up on December 21st as it will be an especially pivotal time to get clear on where you’re heading next and what will be required of you to get there. This month, the Sun & Mercury Retrograde are both on the move in your zone of Community & Friendship. It’s time to sort through all of the many voices in the crowd and decide how you can best be of service to those who need your help the most. You may want to consider new & interesting ways to get the word out about what you do online or put together an offline event to bring people together around a cause you wholeheartedly believe in. This time is all about reaching out and showing the value you can provide to others, but be aware that Mercury Retrograde can cause some confusion around communication & technology, so be sure to plan very carefully. With that crazy Super Full Moon shimmering down its rays on your Fun & Creativity sector on December 3rd, this may have brought along the completion of a creative project you’ve been working on for what may feel like ages, as well as a feeling that perhaps you are now wanting to do something different to fuel your creative fires in the future. For now, start by looking around and asking what others really want or need to find your next big dose of inspiration! Meanwhile, the tides are changing as Saturn moves into your 12th house of Mystical Pursuits for the next 2.5 years on December 19th. Over time, this may bring profound insights around deeper emotional issues you’ve been somehow sweeping under the rug for the last several years. Working with a coach, therapist, or finding a good friend to talk things out with can help you clear the air when it comes to limiting beliefs, hidden fears, or outmoded habits that are no longer serving you. It’s time to make yourself known, Pisces! This month, both the Sun & Mercury Retrograde are cruising through your Career Zone, helping you re-think the bigger impact you’d like to make on the world. Perhaps you’ll find that some of the areas you’ve been focusing your attention when it comes to the work you’re doing are in need of a change or upgrade. Just try to be open to new ideas & insights that may come up for you since Mercury Retrograde is truly all about downloading a message about something you may not have realized before, but can actually be very much to your benefit if you’re willing to shift and adapt your thinking to completely new levels. With the Super Full Moon lighting up your zone of Home, Family, & Long-term Security on December 3rd, some hidden fears may have come up to the surface that may have made you somewhat uncomfortable about the state of your personal life. This has been such a major time of clearing out the psychic debris that has been weighing on you so you can start 2018 with a fresh outlook and a plan you can truly feel good about. Use the New Moon in Sagittarius on the 18th to quiet yourself and take apart all of your hopes, dreams, and fears and set a bold intention on where you would ideally like to see yourself in the future. Then ask the Universe for help to get you there! The grand finale of the year will come as Saturn finally makes its big move out of your Career Zone, where it has been for the last 2.5 years, and into your Community & Friendship sector right before the new year. It has been a crazy few years for you that has been all about getting on track with a more fulfilling and strategic career that may have required a lot out of you, and now it will be time to take everything you’ve learned and set out to help even more people in your own special way.